I knew this book would be good just by the title. However, I was not prepared for HOW AMAZING this book is! 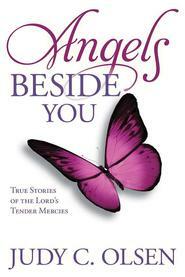 I went to bed early one night not feeling well and I took this book with me. As I started reading, MY burdens were lightened. Reading these heartbreaking stories of problems with health, finances, family, mental illness, and loneliness I found that with my tears for them I was healing. I am SO GRATEFUL these women felt brave enough to share their stories. For if they can do what they are doing...well, then, I can do what I am being asked to do. I couldn't put the book down and stayed up very late reading about these women whom I wanted so badly to hug. They ARE doing hard things! 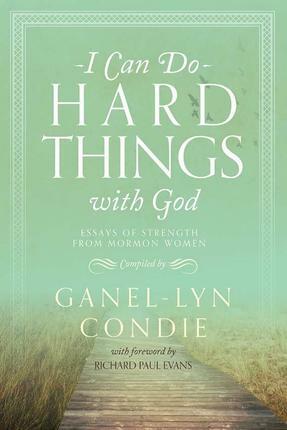 But as they testify--they are able to do those hard things--with God. May we each turn to the Father who holds out His arms waiting for us to run to Him...for it is from Him that we gain our strength.